Sign up for Broadjam today to follow BFATAL, and be notified when they upload new stuff or update their news! Sometimes you have to sever relationships that are not healthy for you. Although you may love them, it's best to let them go and seek a NEW BEGINNING. Sometimes you have to sever relationships that are not healthy for you. "Great contemplative themes for relaxing and reading or just trying to slow down and chill. Not too complicated as to make you fell assaulted by sounds, notes and confusion but instead a collective direction from and to the same place. Completeness!" 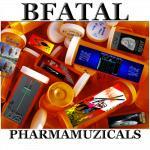 Would you like to help BFATAL get heard by industry pros by buying them a song submission credit to Broadjam Music Licensing Opportunities?